Remember you can tailor the holiday to suit your length of stay, amount of coaching etc. These weeks are hosted by Daniele Maltese our local coach who has a wealth of knowledge of the local area and will help you find all the best places to go that only locals know about! Full use of the tennis club facilities which include 3 clay courts, 2 hard courts and a fully equipped gym. There is also a snack bar and a club restaurant plus a members TV room with Sky Sports. Laura will also provide options of accommodation and information re flights and car hire if required. You can choose from a range of accommodation, all have been hand picked to offer the best value for money in the interesting and vibrant seaside town of Trapani - only a 10 minute drive to the tennis club. Please click on Trapani Accommodation for full details. 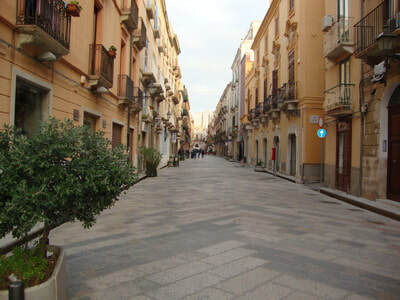 - Trapani - Prefer Not to Drive? 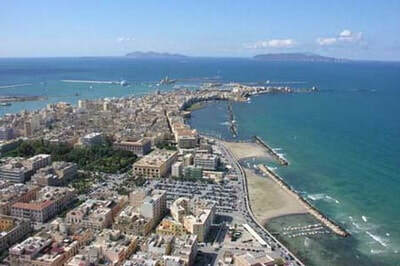 If Trapani is not for you please click on another location below to see the details of the tailor made holidays.